The GTX 460 was an awesome card when it first tipped up, and the GTX 560 Ti is following in those footsteps. What's changed though is that those footsteps are far more well trod than they were when the GTX 460 came out. There really was nothing to touch the GTX 460 in the beginning; indeed I said there was no other card in the £200-£300 pricepoint I'd rather spend my money on, thanks mainly to its overclocking prowess. Now though that market is well and truly packed with excellent GPUs more than capable of delivering incredible performance for the cash. 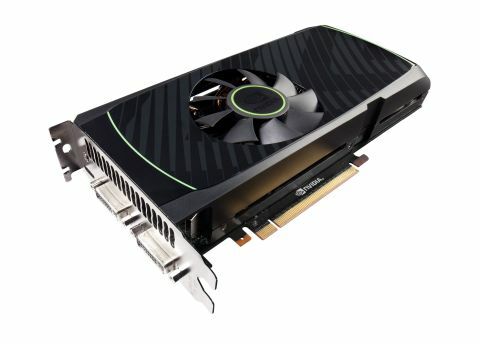 The GeForce GTX 560 Ti has got its niche, but it's a very small one. It beats the Radeon HD 6870 hands down, but that was a rather stop-gap measure from AMD based on old architecture. The revamped Cayman GPU in the HD 6950 though is far more capable. And the DirectX 11 performance of its twin tessellation engines makes mincemeat of the system-stalling Metro 2033 benchmark. The Nvidia card cannot claim that, stuttering away unable to hit even 2FPS at the top resolution. Coupled with the BIOS flash shenanigans you can currently perform on the Radeon HD 6950 that is the card I would buy. And the one I'd recommend you pick up if you're looking at a £200-odd GPU. There are also still a fair few GTX 480s in stock around the UK etailers going for around £250; if you can stump up the extra cash that's a bargain in anyone's graphics protocols. That's also the cheapest Nvidia GPU capable of competing with AMD's Metro 2033 performance. None of this means the GTX 560 Ti is a bad card, not by a long shot. It's just that in the short time since the GTX 460 arrived the £200-£300 GPU market has gotten a lot more crowded. The GeForce GTX 560 Ti is trying to ride the crest of a wave that has long-since crashed against the shore. Essentially AMD has caught up in the DirectX 11 race and cut its prices to really stick the boot into Nvidia. Thanks to the GTX 580 and GTX 570 it's still got the higher-margin, top-end of the GPU market sewn up, but AMD is now eating away at the higher-volume, mid-range sector. That's a market which has been doing very well for the green team over the past few years. So kudos to Nvidia for bettering the GTX 460 with the GTX 560 Ti, but the plaudits have to go to AMD's excellent Radeon HD 6950, especially now it's price has dropped to compete. The GTX 560 Ti hits Nvidia's marketing claims of 30% better performance over the GTX 460 and isn't asking any more for it than it did for the previous generation. The impressive overclocking capabilities of the card are also worth special mention, especially considering the card is recommended to come in below the £200 mark. To be fair there's nothing to dislike about the GTX 560 Ti. It's not over-priced at £200, it's just there's a competing card that outperforms it for pretty much the same cash.